In the past month, I have had the fortune of being able to visit two wonderful research libraries. Panorama of the Rotherhithe Picture Research Library. The first library is the Rotherhithe Picture Research Library in southeastern London. Although it is a part of the Sands Film Studio, the library is a non-profit-making educational trust that is open to the public. Unlike our filing cabinets full of folders, their holdings are stored in scrapbook-like volumes. Each picture is mounted on a cardstock page, which are then put into scrapbooks by subject. Main subjects include: sports, trades and occupations, costume, architecture, etc. Their system is incredibly easy to understand, and I had a fabulous time perusing some of the books. 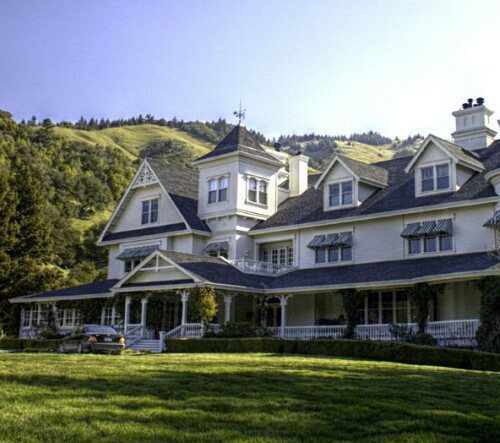 This past week I had the great fortune of visiting the Lucas Research Library at the idyllic Skywalker Ranch, situated about 40 minutes north of San Francisco in Marin County. Head librarian Jo Donaldson gave us a tour of the property. The library is located in the Main House, which sits adjacent to Ewok Lake, and contains an impressive collection of Art Nouveau furniture and fixtures. There are Tiffany lamps and original paintings by Norman Rockwell and Thomas Hart Benton. Under a stained glass skylight sit shelves of books relating to all aspects of film production. In addition to their own impressive collection, their holdings also include the Paramount Research Library and the Universal Research Library collections. The library is not open to the public, so it was a rare and much appreciated treat that I was able to visit. 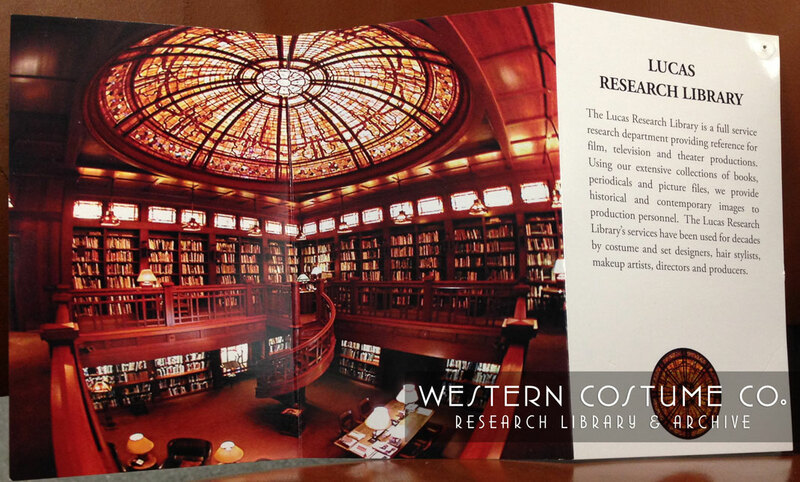 Brochure showing the inside of the Lucas Research Library. Thank-you for this lovely description of the research libraries.